This is a charmingly small stamp, designed to be subdivided to accommodate various postal rates. Each fraction being regarded as a stamp in its own right, at 12x12mm in 1856, it was the smallest first issue, though later undertaken in 1863 by Bolivar's 8x9.5mm first set. Brunswick made a similar, slightly larger issue in 1857, though not as its first stamp. 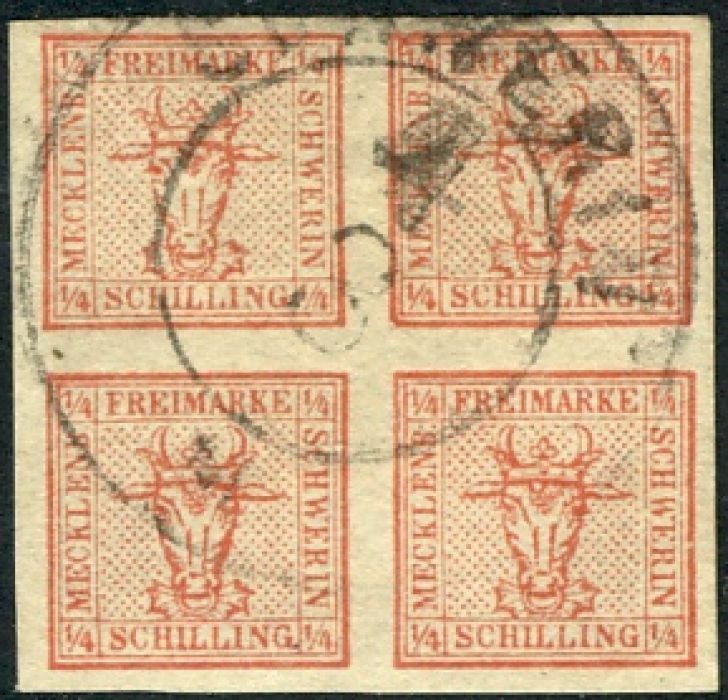 Mecklenburg-Schwerin joined the North German Confederation at the end of 1867 and ceased to issue its own stamps.